A recent survey of Ontario drivers shows that 1.9 million of them have been under the influence of cannabis while behind the wheel, the Canadian Automobile Association says. The CAA-commissioned Ipsos study of 1,000 Ontario drivers over the age of 19, conducted in July, found that one in two cannabis users claimed to have driven a vehicle after taking the drug. 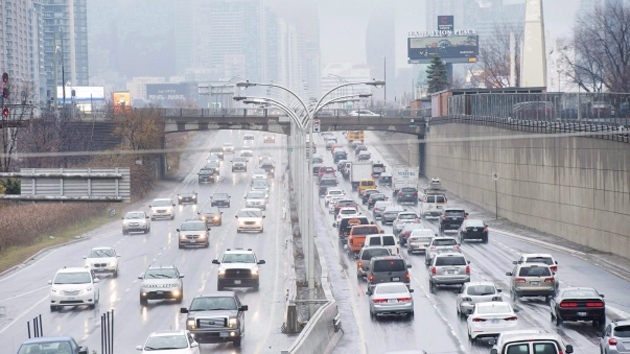 CAA South Central Ontario says an extrapolation of those results would equate to 1.9 million Ontario motorists have driven under the influence of cannabis, and more than 735,000 had done so in the past three months. Those numbers raise more concerns about road safety when marijuana becomes legal across Canada on Oct. 17, the CAA says. The survey found that 69 per cent of cannabis-impaired drivers were male, and 39 per cent of them were novice drivers. The impaired drivers are also more likely to be between the ages of 25 and 34, the survey found. The CAA says its research also shows that more than 200,000 Ontario drivers admit to both alcohol and cannabis use before getting behind the wheel in the past three months. Those “poly-users” tended to drive under the influence after social gatherings, or after visiting bars and clubs. "Road safety needs to be prioritized as a leading issue as cannabis becomes legal in the coming weeks, but it's clear that the focus can't solely be on cannabis-impaired driving," Elliott Silverstein, manager of government relations for the CAA SCO, said in a news release. "We need to take an integrated view of the dangerous behaviours that impact road safety in Ontario and focus public education and enforcement efforts accordingly." Fifty-seven per cent of survey responders said they believe there will be more cannabis-impaired drivers on the road after pot becomes legal. Some police forces have expressed concern about roadside testing for cannabis impairment. Vancouver’s police department said last month that it wasn’t comfortable with the federally-approved roadside Drager DrugTest 5000, after concerns were raised about the machine’s accuracy, bulkiness and performance in sub-zero temperatures. But Rob Clark, managing director of Drager Safety Canada, dismissed those concerns in an interview with CTV News Channel on Wednesday, saying the roadside test is 98.7 per cent accurate.